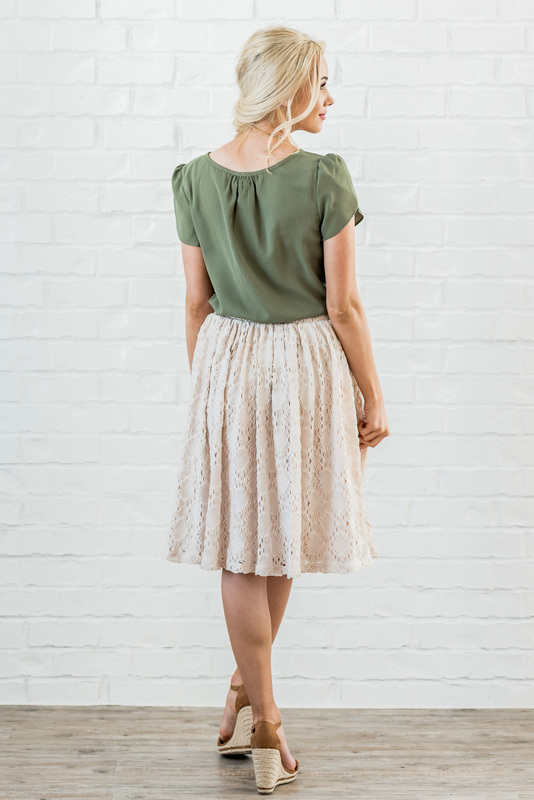 This perfect top is light & airy with pretty, feminine details. The round neckline gathers slightly at the center and the tulip petal sleeves are so beautiful! 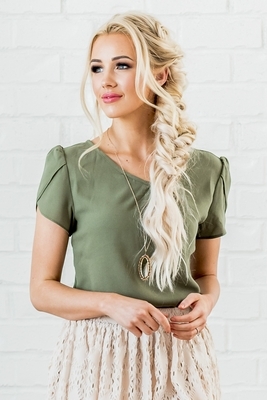 The Olive Green color is so pretty for any season, and also works wonderfully for layering. Fabric is high quality & not sheer, so you can be comfortable & modest without extra layers. Top is also available in Mauve Rose. Worn here with our Textured Mesh Skirt in Cream. Length: XS-S 24", M-L 24.5", XL-XXL 25"